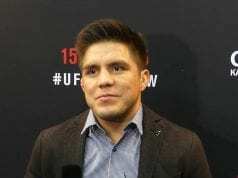 TJ Dillashaw’s coaches offer their support to the former UFC bantamweight champion after his failed drug test. On Tuesday, it was revealed that Dillashaw accepted a two-year suspension from the U.S. Anti-Doping Agency (USADA). It’s no secret that Dillashaw and Duane Ludwig have a strong bond. They built up a standout resumé that led to multiple title reigns. However, that resumé is in question in the wake of this news. 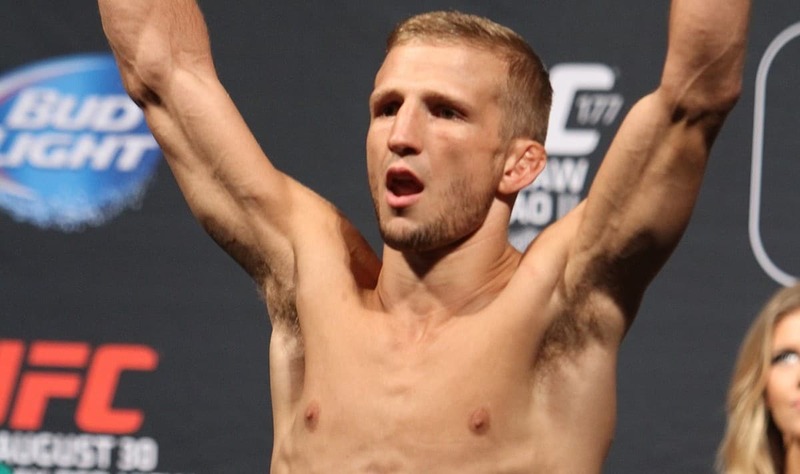 Dillashaw was caught with EPO in his system and is ineligible to compete until January 2021. Ludwig, who serves as his head coach, took to his official Instagram account to both scrutinize and support his fighter. In the statement, the narrative holds the stance that Dillashaw was forced to compromise himself. As for the reason, it’s due to the immense pressures and expectations that he was under. “The Treigning Lab was built upon the foundation of integrity, hard work, and most importantly family. So, in light of recent events The Treigning Lab and it’s affiliates would, first, like to thank USADA for upholding the standard of sterling athletic practices and offering tests to ensure the safety and fairness of competitive sports. “That being said, we would also like to thank all those who have come forward at this time to show their genuine concern for all of our athletes, especially TJ Dillashaw, a fallen soldier on the battlefield of public expectation and demand for perfection. Although, not right, and inexcusable, TJ succumbed to the relentless pressure to win at any cost for the purposes of appeasing his employers, pleasing his fan base, and providing for his family; a sentiment that we all can relate to.